I live on the White River in Indianapolis with my wife, Alicia, and our cat, Bandit.My loves, other than wife, kids, and writing, have been sports and what has been called adventure travel. After one semester, I dropped out of college and hitch-hiked across the country. I spent the next summer traveling around Europe by any means necessary. The following summer, I motorcycled from Northern Indiana to Mexico City. Career, marriage and kids slowed me down somewhat, but I have set foot in over 40 countries. I’ve climbed several Himalayan peaks and have been leading Himalayan trekking and mountaineering expeditions for a decade. I managed to survive an avalanche and getting lost at sea in a solo kayak in the Palau Islands. My commitment to social activism and philanthropy began in high school when I co-founded the Goshen Walk for Hunger. In law school, I fought for renters’ rights, and organized the first rent strike in Indiana as president of the Indianapolis Tenants Association. I was lead counsel on class action suits for prisoners, which resulted in the construction of two new jails in Central Indiana. Our class action suit required two companies to clean up the White River after they polluted the river with industrial chemicals. A last love to mention is reading. Marcel Proust’s Remembrance of Things Past was as great an adventure as climbing Himalayan peaks. What inspired you to begin traveling? Growing up in a small town, which was pretty culturally homogenous, gave me a secure sense of self, but created a desire to get out and see the world. In this hemisphere, I’ve been in every U.S. state, except North Dakota, and I’ve traveled fairly extensively through Mexico and Canada. I’ve visited most of the Caribbean Islands, usually on diving trips. I’ve been to Nepal and India 13 times on trekking or climbing expeditions, and have seen a few other countries in Southeast Asia. I’ve traveled extensively in Europe, the United Kingdom, and Ireland. I especially enjoyed kayaking and diving in Palau and Tonga. I’ve also traveled at the top and bottom of Africa—Morocco and South Africa. I fell in love with the mountains and the culture of the mountain villages the first time I trekked the Everest Base Camp Trail in 1995. My wife said I was manifesting midlife crisis symptoms after turning 40, and she suggested I try trekking therapy. As I understand it, you had a life-changing experience there. Would you mind telling us about it? In 1999, my climbing team survived an avalanche as we were trekking away from Mera Peak in Nepal. Three porters we had gotten to know at the base camp were killed as they were traversing a higher, more dangerous trail. Our porters were trapped for a day and saved by the incredible strength and courage of our sirdar (chief guide). Nepal is the poorest country outside of Africa with an average annual income around $400. Porters risk their lives to provide a great adventure for trekkers and climbers—because they are from poor farming families that need the money. Witnessing three men enveloped in an avalanche because they were taking a dangerous shortcut in order to more quickly return their patrons’ gear spurred my development from just being an adventure traveler to becoming a philanthro-trekker. It also inspired my first book about Nepal, Bringing Progress to Paradise, my desire to teach classes on philanthropy, continue writing about philanthro-trekking, and to eventually serve as president of the Basa Village Foundation. Eventually, you became co-founder of the Basa Village Foundation. What does the Foundation do, and how can we help? Eventually travel for the sake of adventure and personal curiosity was insufficiently meaningful. I began to “philanthro-trek”—combining travel with philanthropy and ethnographic research. 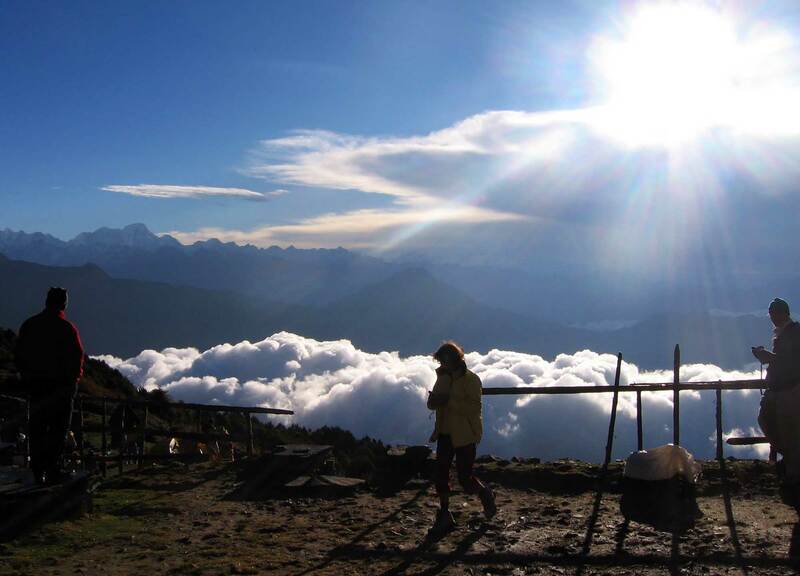 A special relationship developed with a remote Himalayan village called Basa. Two friends and I were only the third group of “white people” to visit the village. Leaders of the village and I established the Basa Village Project, which has morphed into a Nepal-based NGO and a U.S. nonprofit corporation to benefit Basa and other Himalayan villages. The Basa Village Foundation (BVF) supports culturally sensitive development projects in the Basa area, which has included a school, hydroelectricity, a water system, smokeless stoves, school computers and supplies, and temporary medical clinics. We are currently involved in a year-long effort to rebuild Basa village, and to provide a permanent village nurse since the April 25 earthquake. Or, send online at GoFundMe. What sort of cultural advice can you bestow to those of us hoping to travel to Nepal? Expect the unexpected. If you visit my website, you’ll find links to books and articles and narratives of trekking and mountaineering experiences, as well as contacts for planning and booking trips. What’s your favorite place in Nepal? Why? Any specific recommendations? 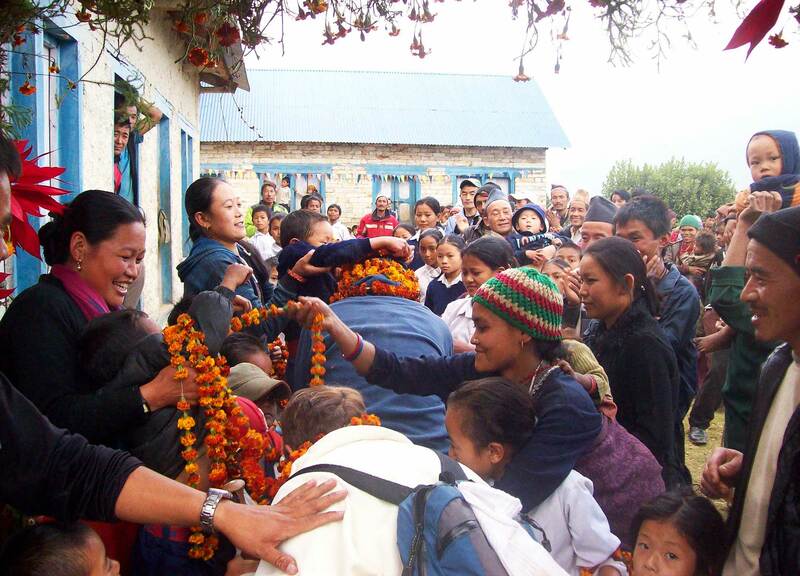 Basa Village, because every visitor (especially friends of mine and those connected with the BVF) are treated like royalty, beginning with being showered with flowers. But Basa is not on the tourist trekking trails, so special arrangements have to be made. 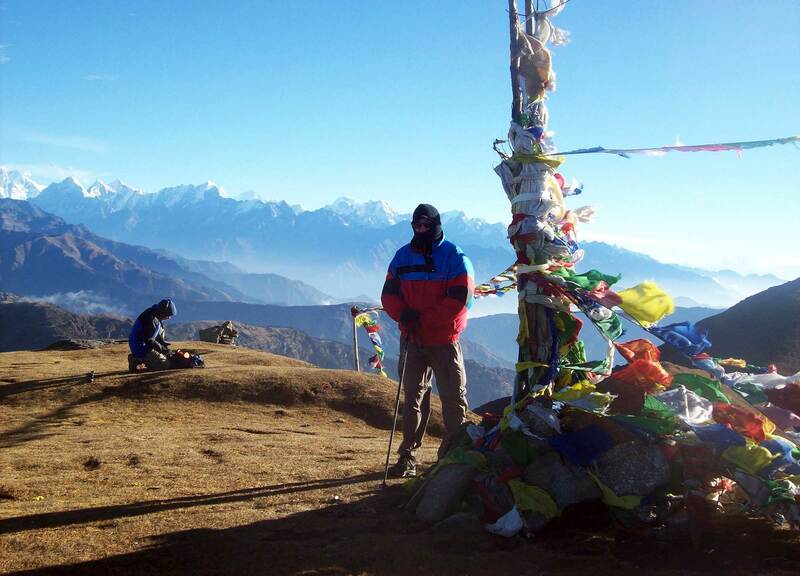 The Everest Base Camp Trail and the Annapurna Circuit are the two most popular treks. 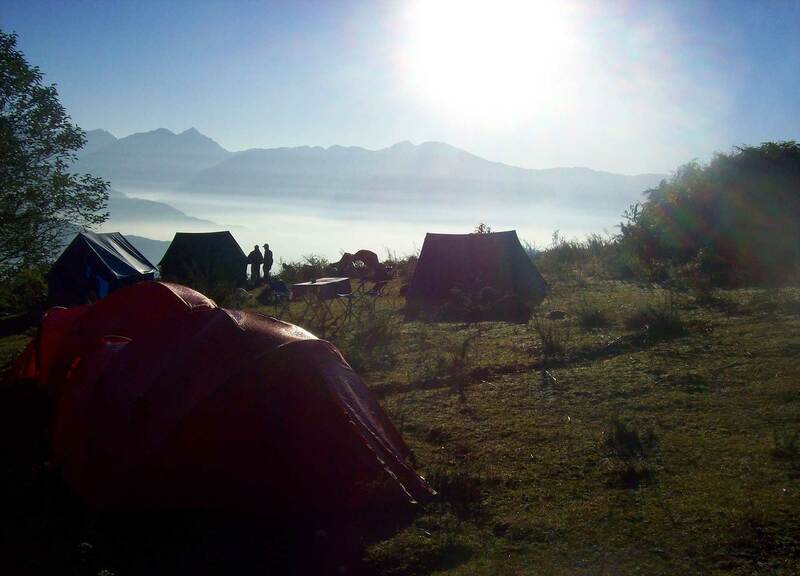 The scenery is spectacular, but you now have to get off the main trail to experience untouched Himalayan culture. Nepal also has mountain lakes, temple villages, elephant rides in the jungle, river kayaking, caves, etc. for visitors that don’t want to do a mountain trek. The Hindu and Buddhist religions are omnipresent, so Westerners get a good dose of the beauty inspired by those two religions in art, music, architecture, etc. What other countries rank at the top of your list, and why? Palau, because it is the best place I know of to combine diving, kayaking, hiking, and camping. The diving is spectacular, and you can kayak solo, or in a group, from island to island camping out and then safely exploring the islands on foot. Any parting advice for active and aspiring travelers? Keep an open mind. Life should be an adventure and an opportunity to learn from other cultures. And, it is even more meaningful and feels better when you get involved with people different from you to engage in mutual sharing. 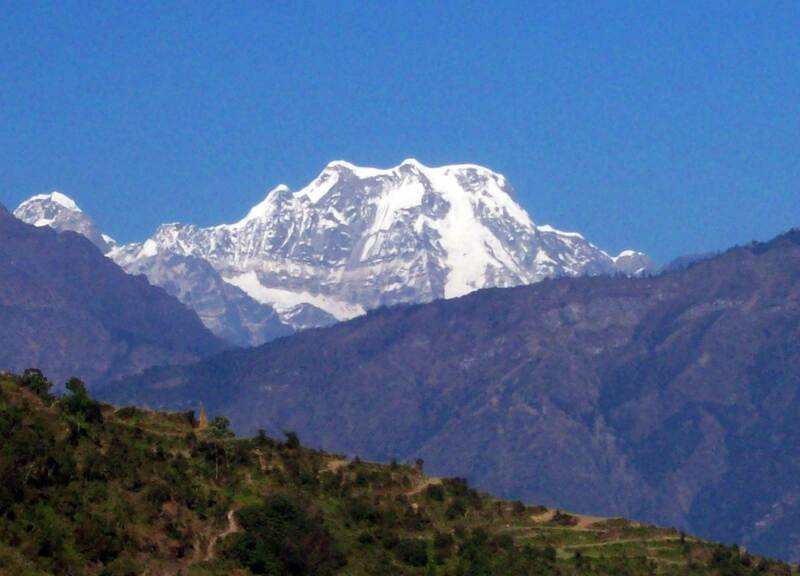 Today’s featured photos: Jeff shows us some amazing Himalayan scenery. © 2016 Jordan Campbell. Some rights reserved. Photo credits: Jeff Rasley. Thanks, Lauren! I completely agree! Thanks, Jordan. I appreciate your help in getting the word out about the Basa Village Foundation’s projects and philanthro-trekking. Thank you for taking the time! Happy to post about such a great cause!